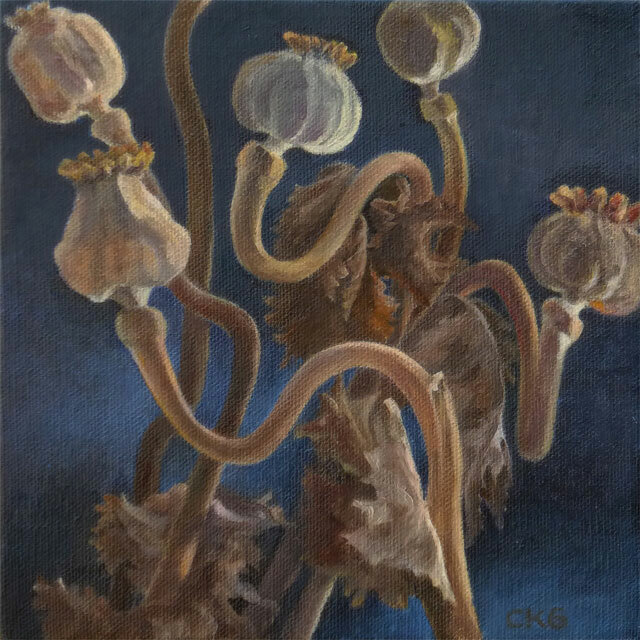 For all their drooping, shriveled forms. 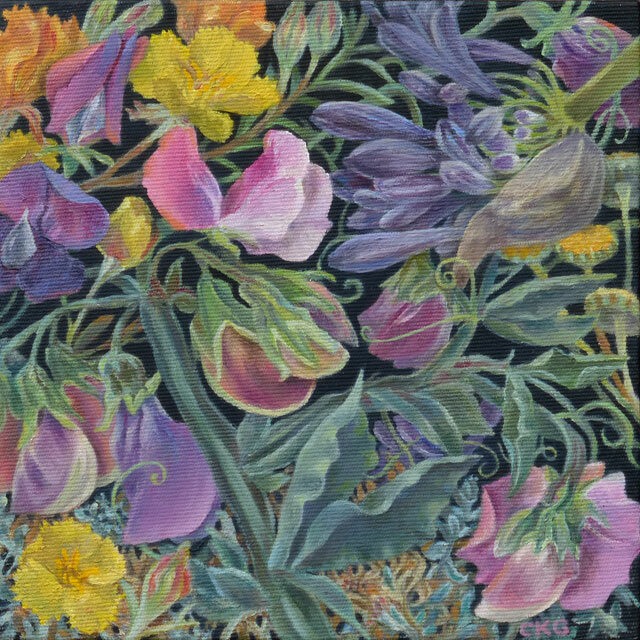 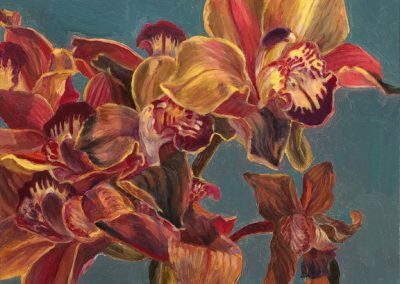 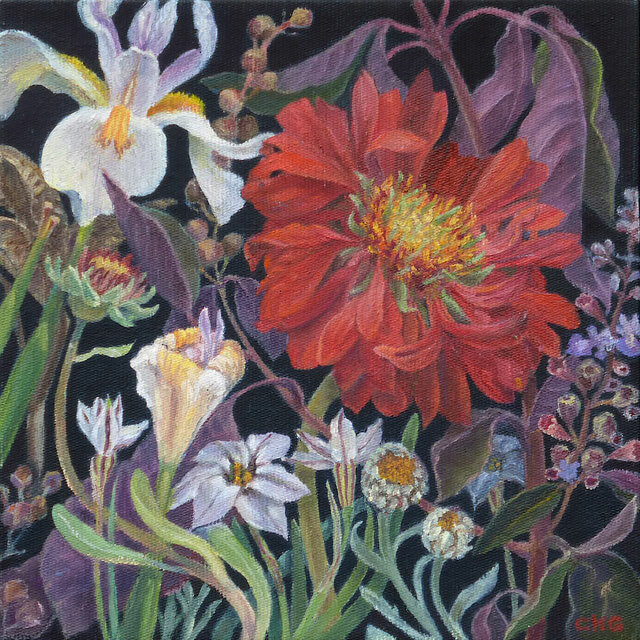 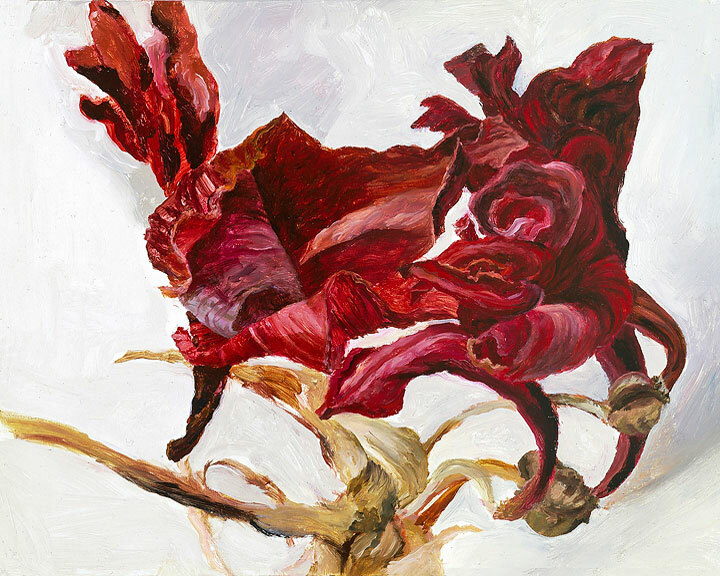 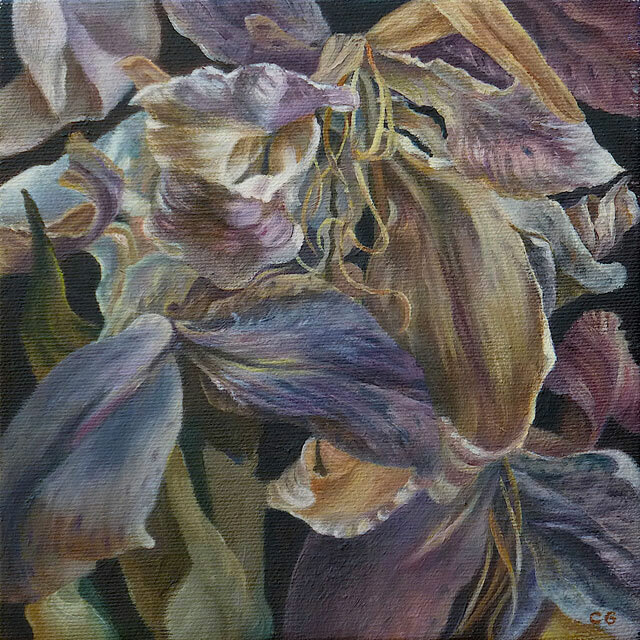 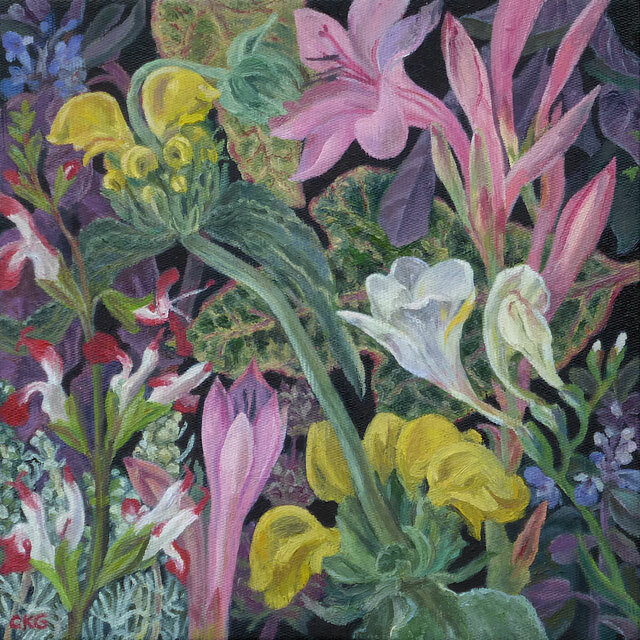 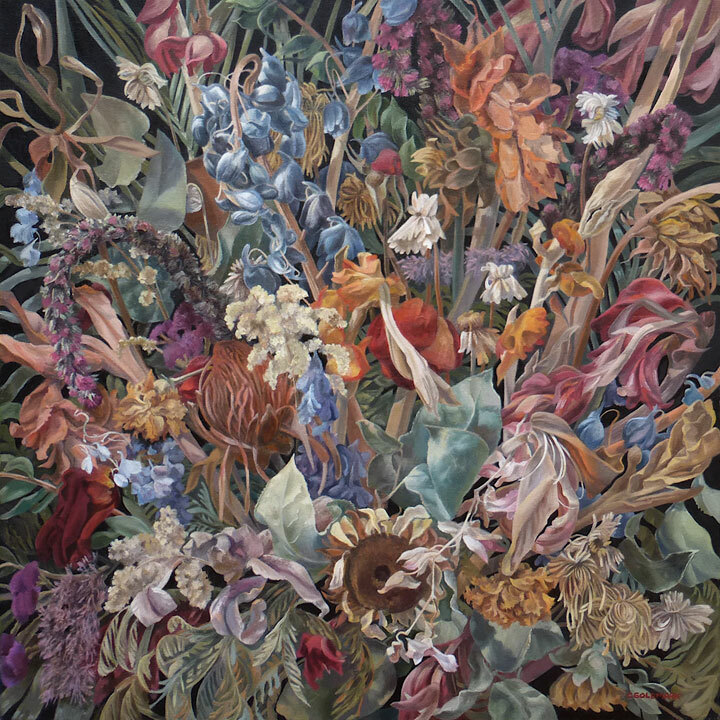 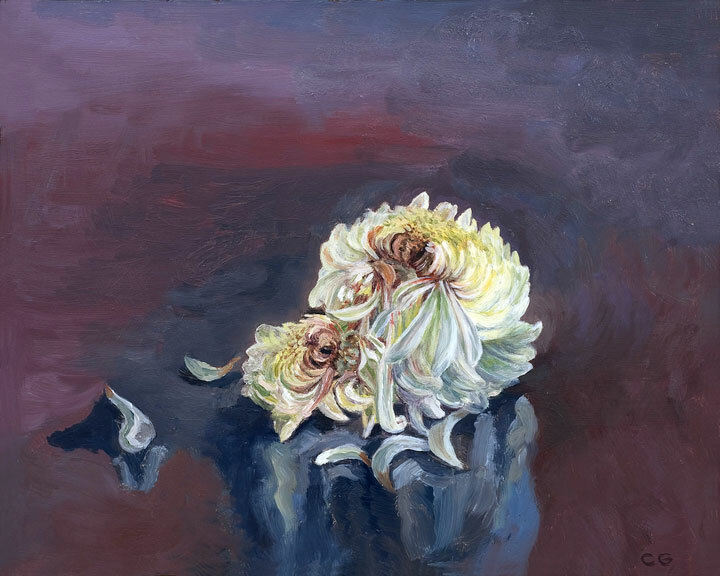 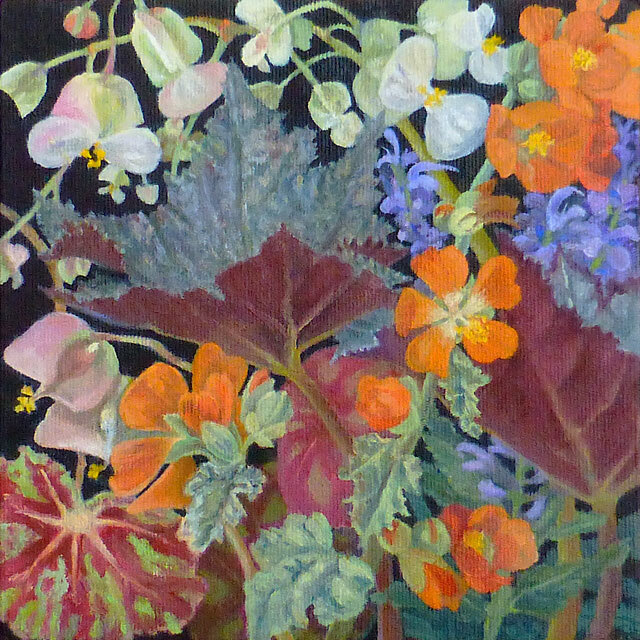 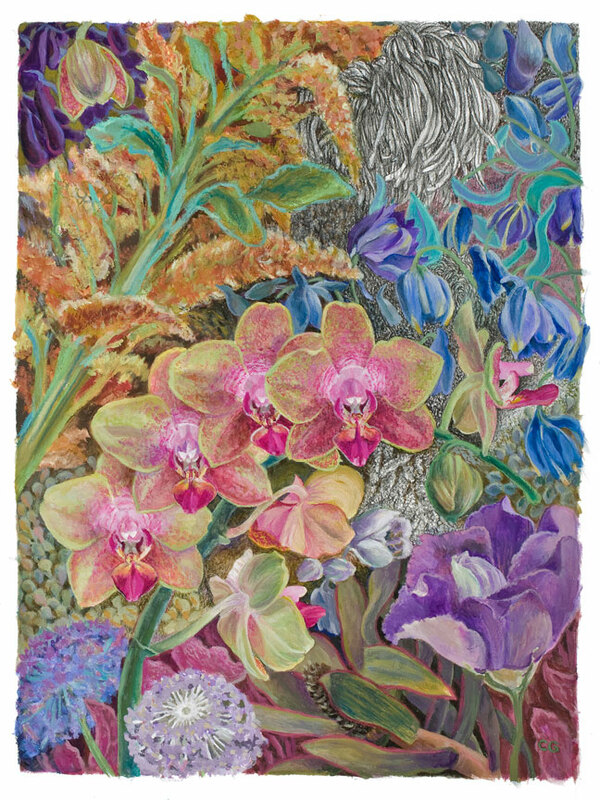 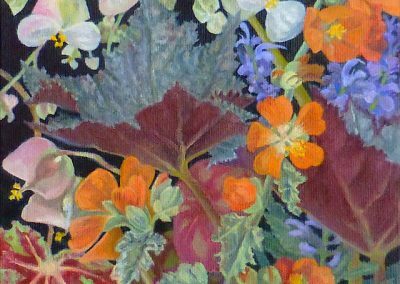 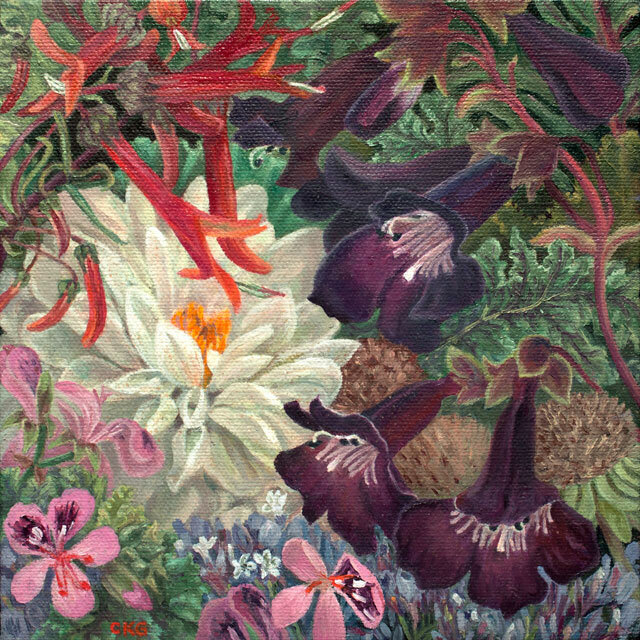 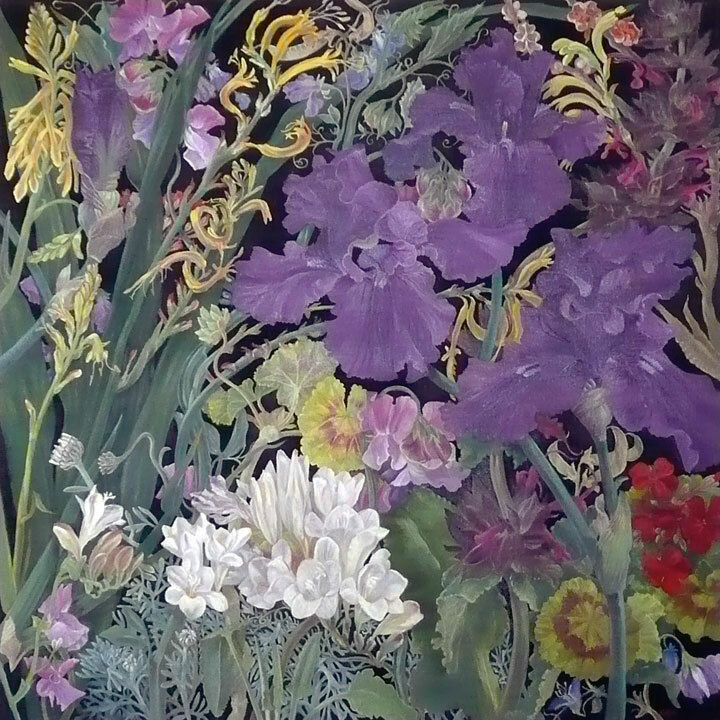 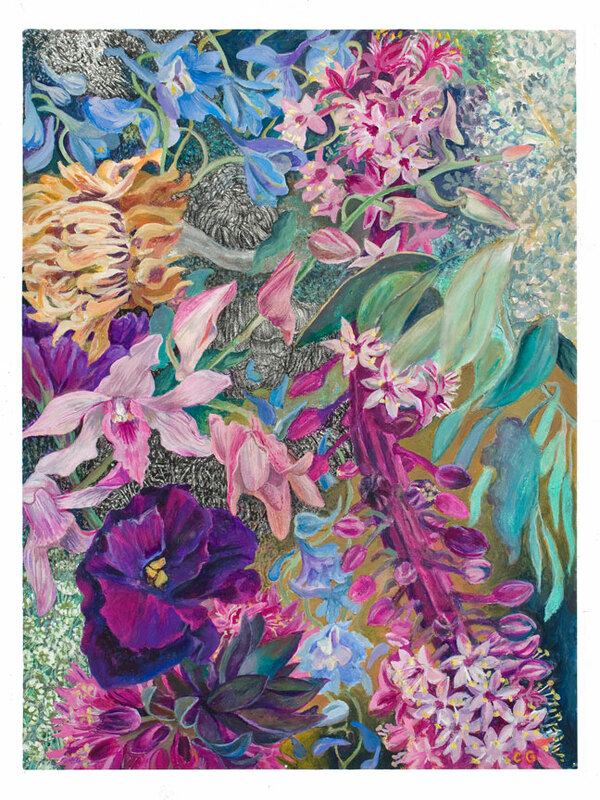 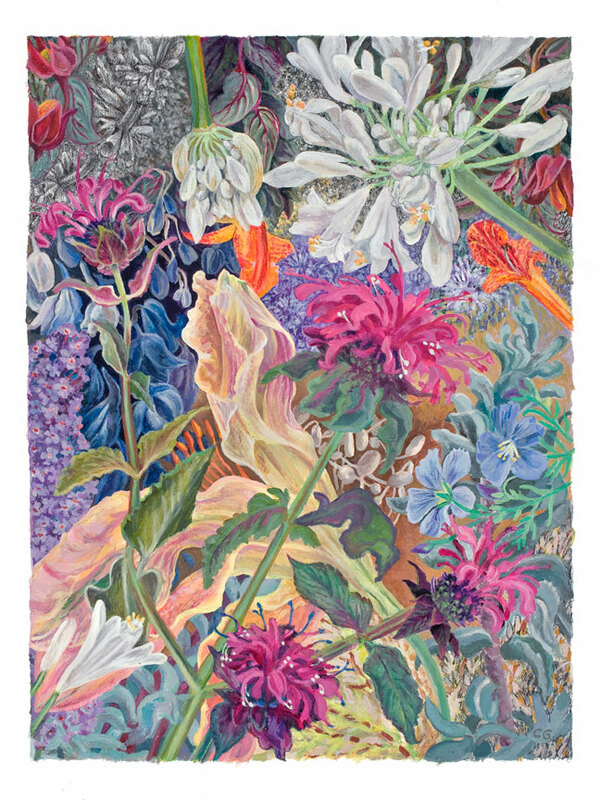 Carol Goldmark’s flowers seem very much alive. 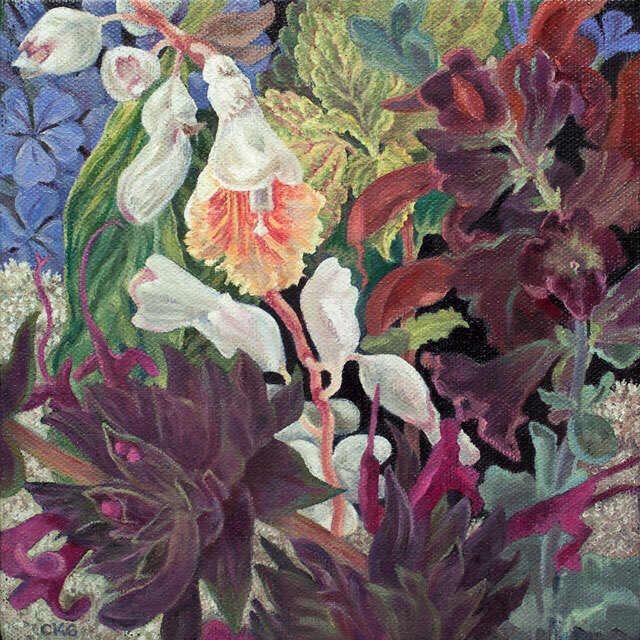 Often they twist and curl over each other, filling even the edges of their canvases with brilliant, light-filled color. 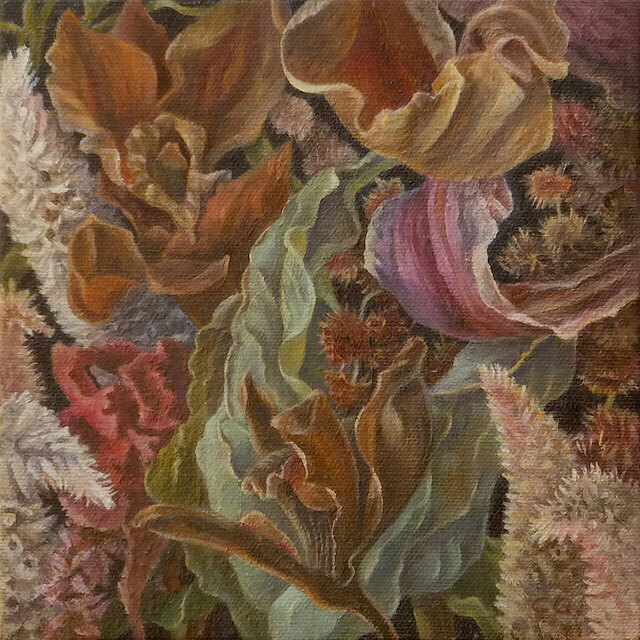 At other times. 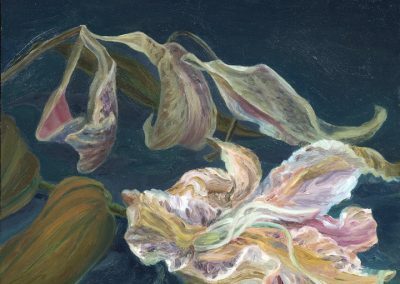 they float apart, as if fighting petal-destroying winds with a surreal sort of inner power. 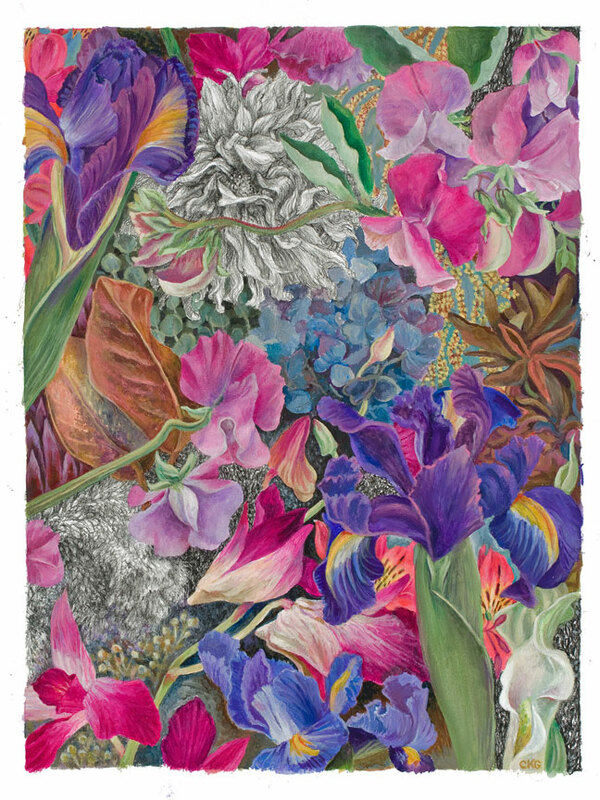 But it is Goldmark’s highly focused work that carries the most quizzical (pardon the pun) drawing power. 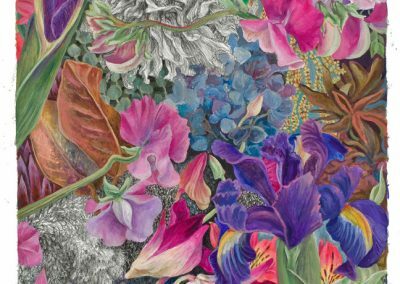 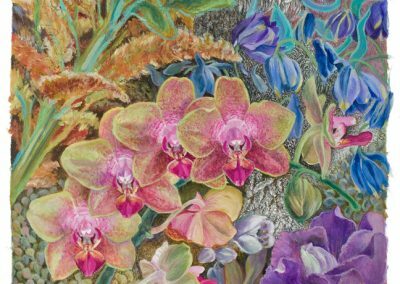 For all their painstaking vision (Goldmark may spend a day on just a small section of one drawing), these are not hard-edged botanical renderings replete with fine-grained pistils and stamens. 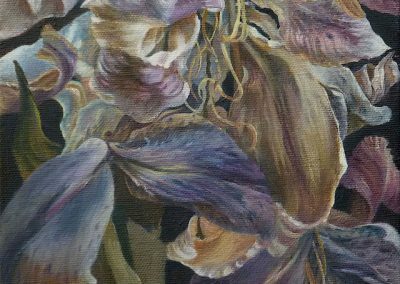 No matter how closely one looks, one finds a delicate softness. 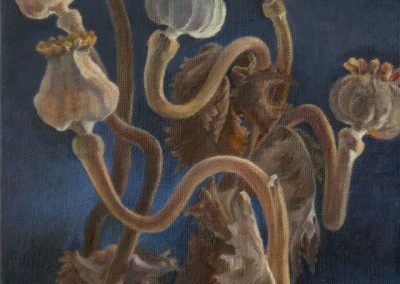 Exacting minutiae matter little here. 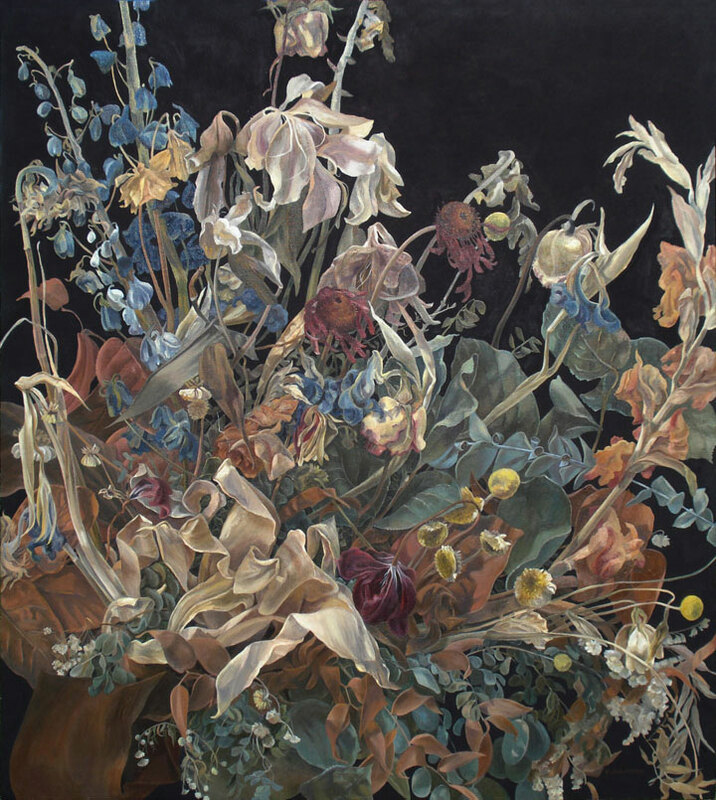 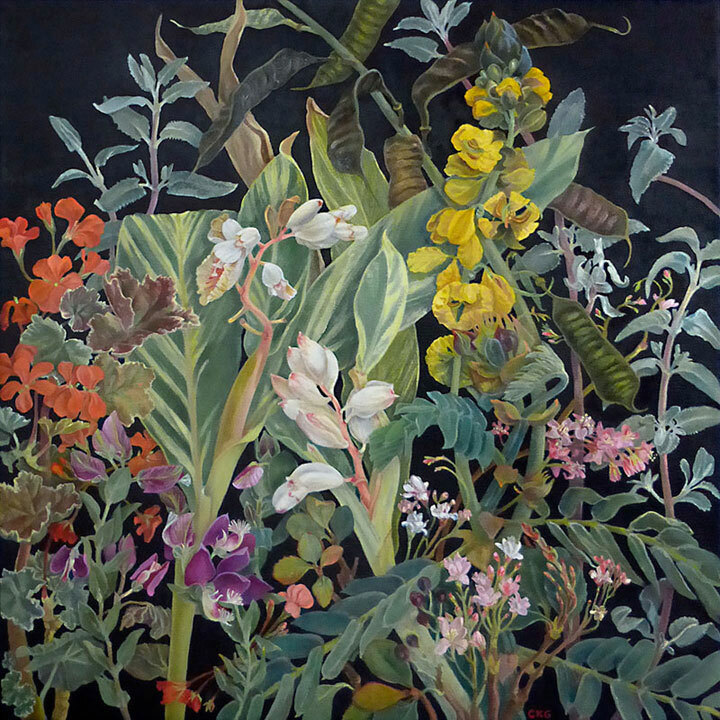 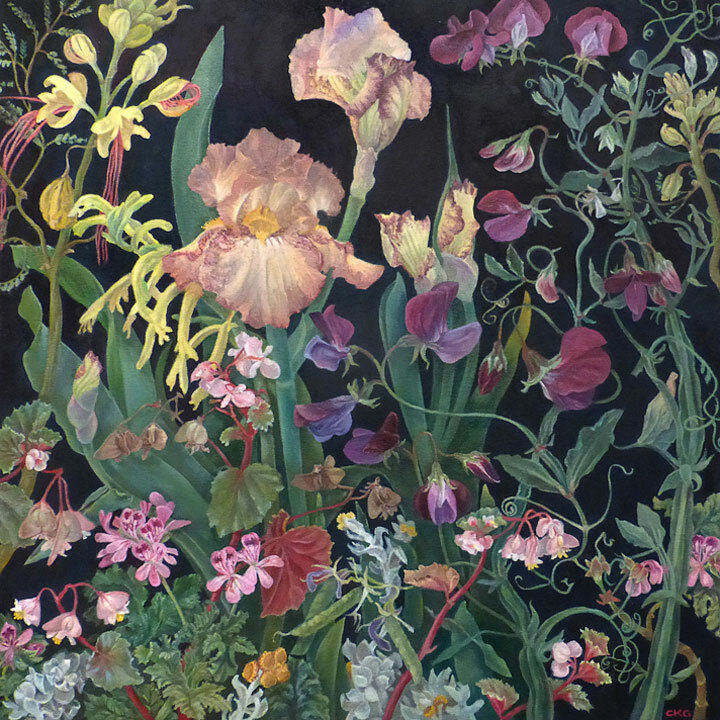 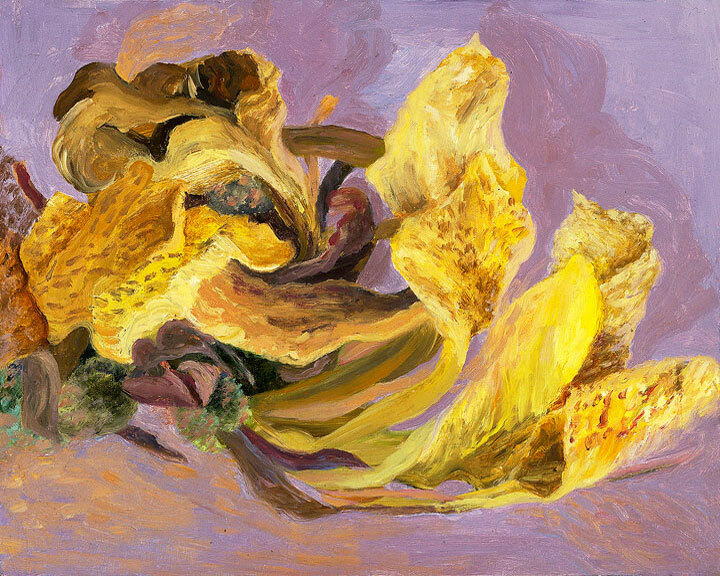 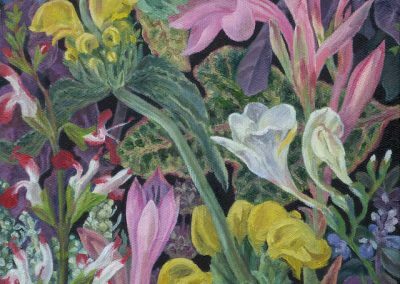 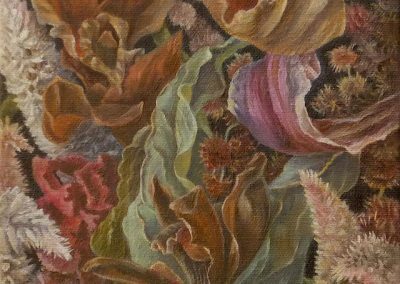 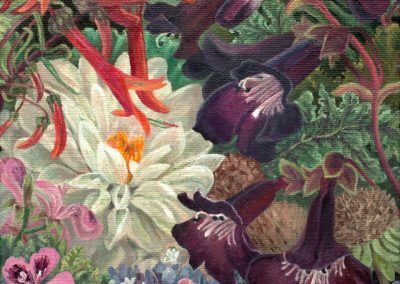 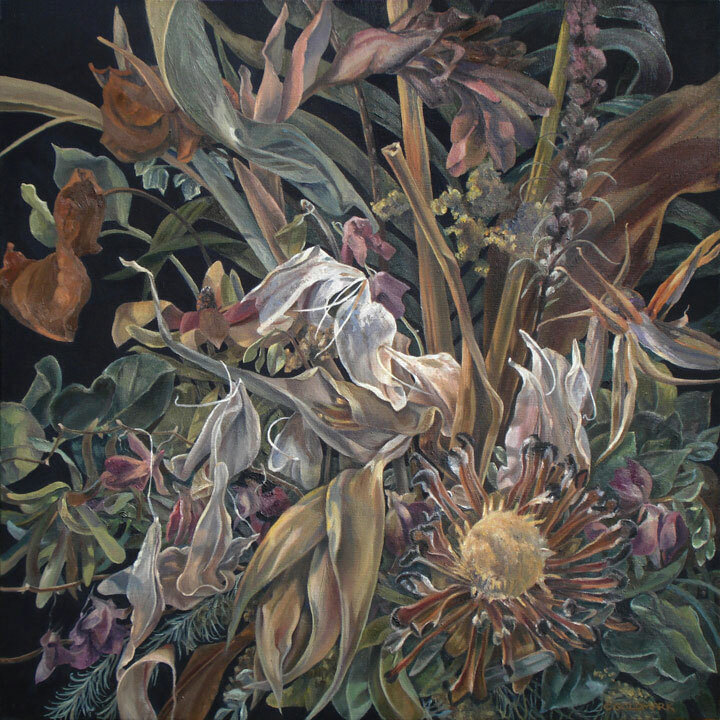 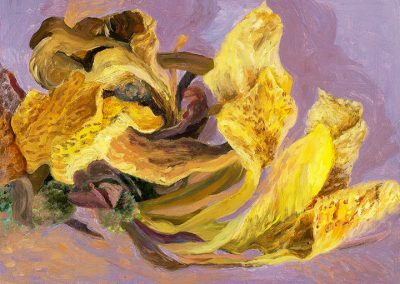 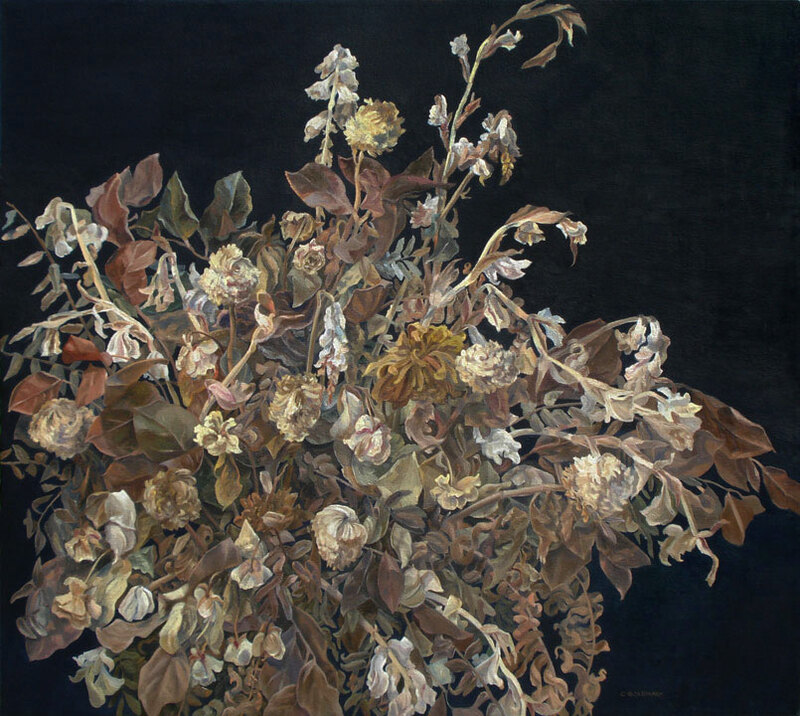 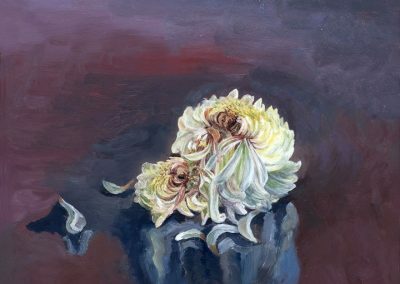 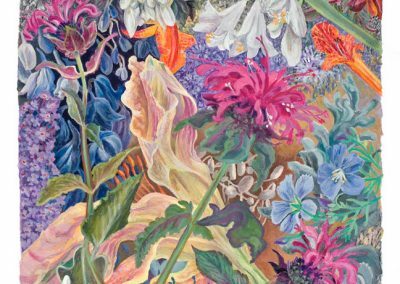 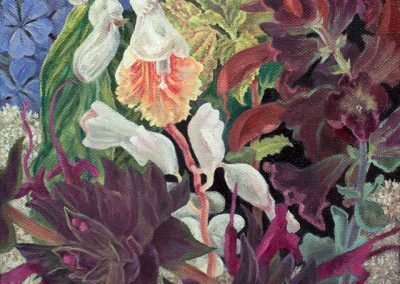 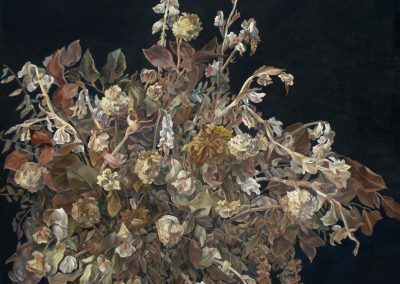 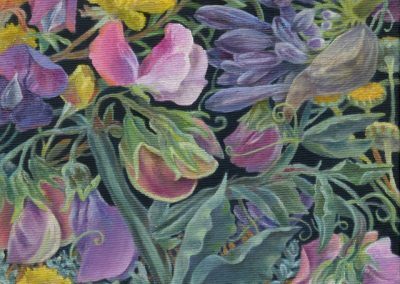 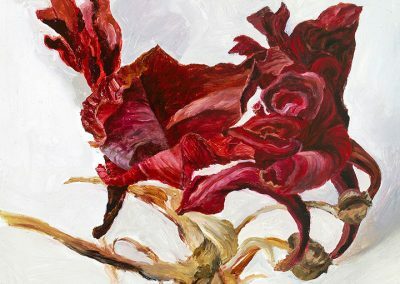 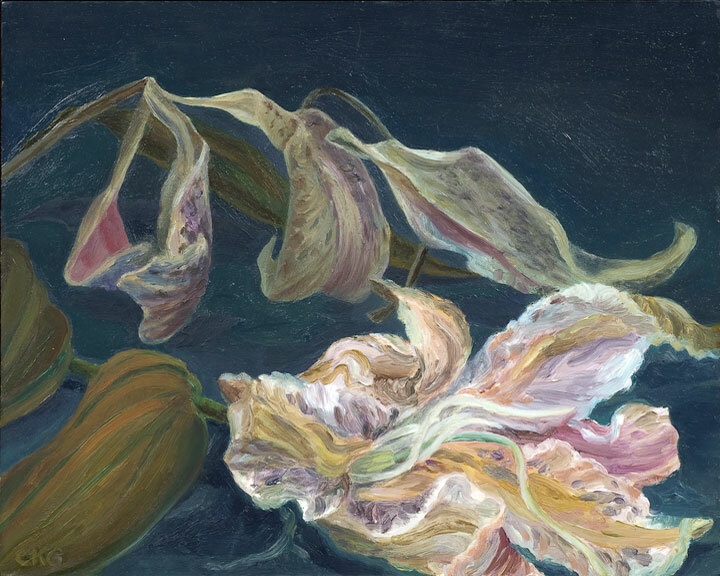 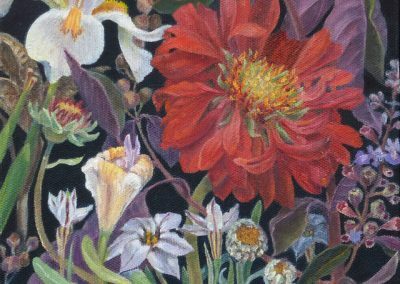 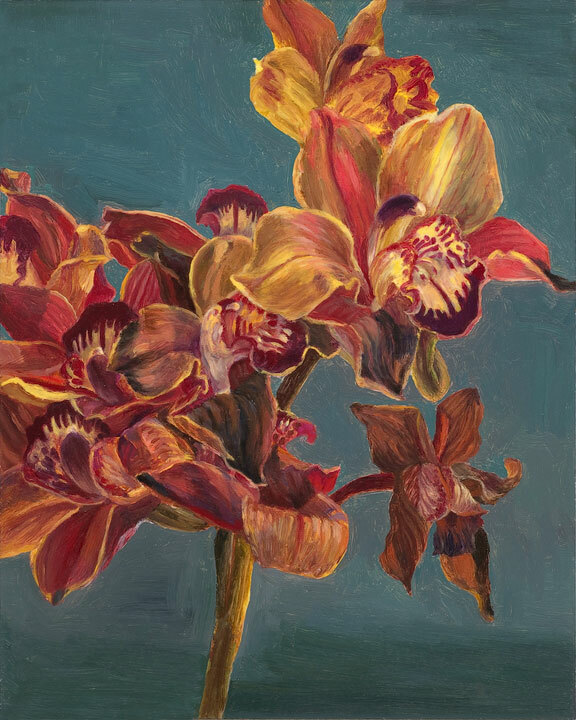 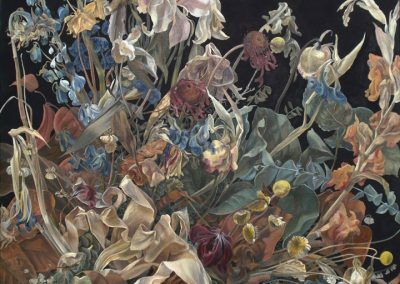 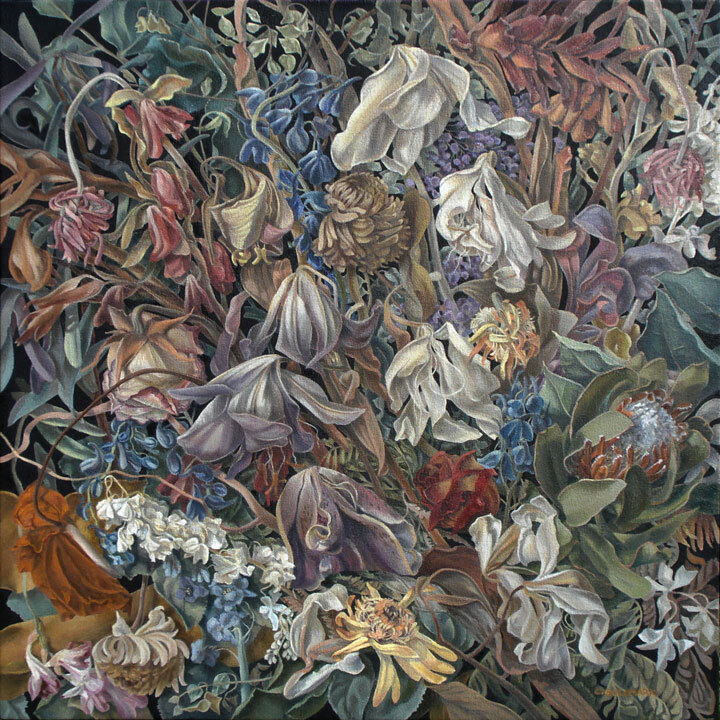 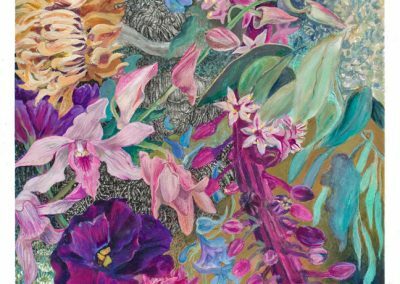 For Goldmark, flowers became a metaphor for the passage of time – and of life.